This week has had some highs and lows. To start with the low, on Wednesday afternoon Koda had a seizure. She has never had this happen before. I was rocking with Kaitlyn, when I felt Koda start bumping against the chair. I looked over to see my sweet pup fall on her side, seize and start foaming at the mouth. To say I freaked out is an understatement. It’s one of the scariest things I’ve ever seen. The whole event lasted probably under two minutes, but within 5 I had her in the car, had called a great friend who rushed over to stay with the girls and was on my way to the vet. By the time we got there, Koda seemed perfectly fine, minus her normal vet jitters. They did blood work (normal) and honestly didn’t have many answers. They said it’s not terribly uncommon for dogs to have a seizure as an allergic reaction to eating a different plant or a bee sting. Koda had been outside on her own that morning, so I’m crossing my fingers that it was that. We are now just supposed to watch her. She’s been her normal crazy self since then, so I’m hoping it’s nothing more serious. To cheer things up a bit, my niece is in town! My SIL and Kyla arrived yesterday and are spending a couple days here. I am SO excited to spend some time catching up with her and playing with sweet Kyla. Watching the girls together is proving to be a blast, as is the wine sipping and chatting with Cara! Finally, I have my 6 week check up this morning! I’m excited to hear if I’m cleared for exercise, but honestly I still have no idea when I’d find time for it. It’s something I miss greatly though, so I guess I’ll figure it out. Now there is no real way to transition into this, but let’s talk yogurt, shall we? I used to eat a lot of Greek yogurt, then kind of fell off the band wagon. It’s creeping back into my life though thanks to Fage. It’s thicker and creamier than a lot of other brands I’ve tried (even other 2%). It’s the only one I’ve found that I could even consider eating the plain variety and enjoying it, but I do love that the flavors they offer are in a side container. I love that I can control the amount I use and usually end up using half the mix in (though I do follow their directions and dip, not mix!). Fage doesn’t use milk concentrates (like Yoplait), though I do wish there was an organic option. Still, it’s thick, creamy and delicious without added thickeners and we are loving it around here right now. 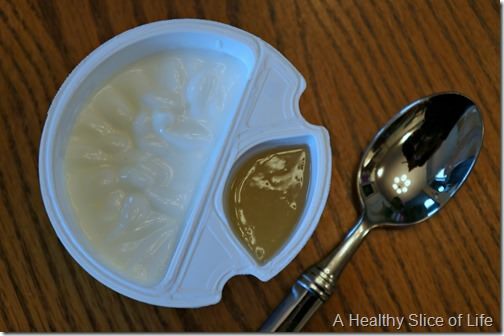 The side containers are genius- it’s so hard to find a sweetened yogurt that isn’t WAY oversweet. But my daughter won’t eat the plain ones. So scary about Koda- glad everything turned out okay. And enjoy the cousin time! Sorry to hear about Koda! I’m sure she’ll be ok. The picture of the girls in the tub is adorable! I have always loved Chobani, but I just saw that Newman’s Own has a Greek yogurt and I want to try it. I love Newman’s Own products, so I am hoping it’s good. I am so sorry about Koda. That is so scary! I am betting she did, in fact, get into something in the yard that caused it. Poor baby. 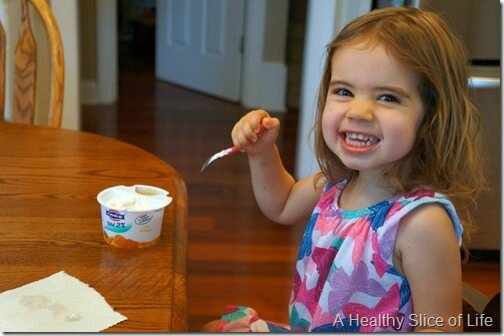 Greek yogurt – love it! I have been using it for baking a lot. It makes baked goods really moist and delish without having to add a ton of oil. I haven’t been eating the yogurt cups lately (I go through stages), but instead have been adding plain Cabot 2% Greek to my smoothies. Yum! It makes them so creamy, and the protein helps slow down the digestion of all that fruit and keeps me fuller longer. I usually toss in some chia seed as well for the same reason. We love greek yogurt, I eat it almost every morning, usually I buy the plain kind and then jazz it up with fresh fruit and granola. My go to is Fage, however I will also buy anything on sale. 🙂 Sorry to hear about your pup, that can be very scary! I used to love greek yogurt but think I wore myself out on it. Then pregnancy solidified my distaste for it, when the thought of it made me ill first trimester. Maybe one day I’ll get back to eating it. Aww, Koda! Poor girl! I hope she’s ok!! I love those Fage’s too. The honey one rocks! So sorry to hear about Kona. I can only imagine how scary that must’ve been. Hoping that she continues to be a-okay! I used to love Greek yogurt but my kids are intolerant and I’m breastfeeding my 3 month old. Look for Wallaby Greek yogurt in whole foods. They do the mix ins and are organic too! Sorry to hear about Koda… Hope she stays well! I hope Koda is okay! Poor Koda and poor you! 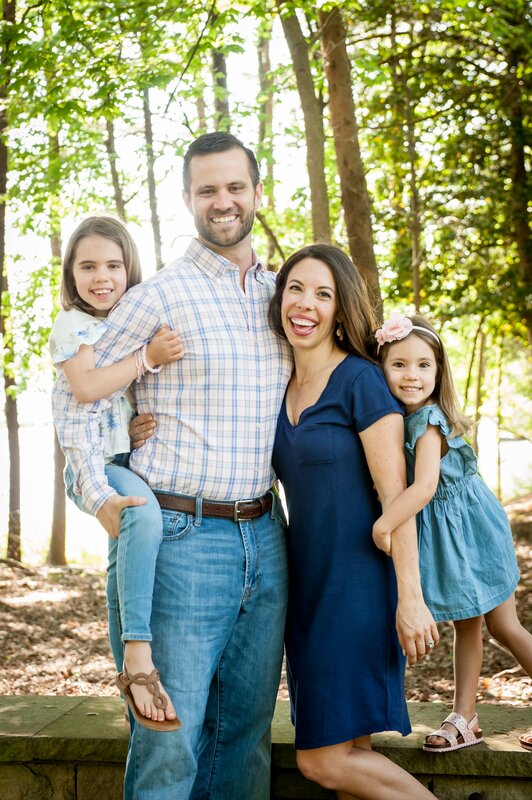 My husband had his first seizure March 1st (while I was 8 months pregnant) and it was the scariest event of my life. He had a grand mal seizure, complete with foaming mouth and bank stare which was definitely the hardest part. He ended up having a brain tumor but apparently it’s common to have a seizure and never have one again, so that’s good! Oh my gosh Regina, I can’t even imagine!! I hope everything turned out ok? We have tried many different brands of greek yogurt but my go-to, no matter the brand, is plain. I add pure maple syrup, fresh berries and chia seeds for Finley most days of the week. She loves it. This week, my hubby bought bare naked granola to add to ours (I think triple berry) and it was delish. When I read the news about Koda I was so sad and scared for you! I can only imagine how terrifying that must have been. I love fage! I’ve always eaten flavored yogurts but for the last couple weeks I’ve been trying really hard to only eat plain due to the high sugar in them. I never really realized before! So, I’ve been trying to add fresh fruits and a squeeze of honey. It’s been a hard transition! I know exactly how you feel. Our 7 year old French Bulldog, Spanky, is prone to seizures and has had 6 since this past February, including one just last night. The best thing you can do is sit with her and talk calmly to her while she goes through it, so she knows that you’re there, since she is disoriented. Glad you were there with her when it happened. Spanky might be the cutest name I’ve ever heard! I’m so sorry you’ve had to experience the seizures too. So scary and heartbreaking. Poor Koda! I’m sure that must have been scary! Thank goodness for good friends who live close by. My childhood dog had plenty of seizures over her lifetime. She was a medium sized dog and lived for 18 years. They were always a bit scary but she was back to herself within a few minutes. When she’d start seizing, my mom would hold an icepack on her forhead and keep us kids away because it seemed to calm her down and end the seizure faster. 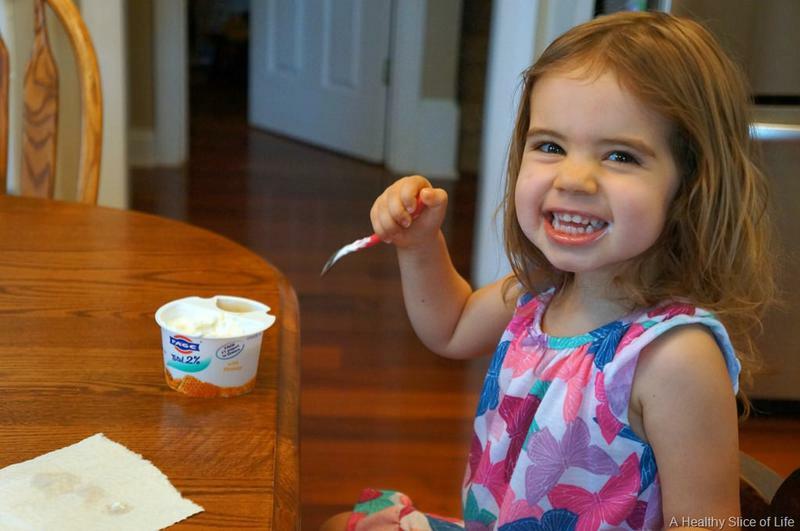 About your yogurt questions…I don’t really like the falvored yogurts, they are too sweet for me. My favorite is to buy a big tub of plain greek yogurt and mix in some honey and almonds. I’m not brand specific, just whatever is on sale that week. So sorry to hear about Koda! I LOVE greek yogurt. I got hooked on it years ago when I was studying abroad in Greece. Actually, the first couple time I had it I wasn’t to fond of it. But by the time I came back to the states I couldn’t get enough of it. 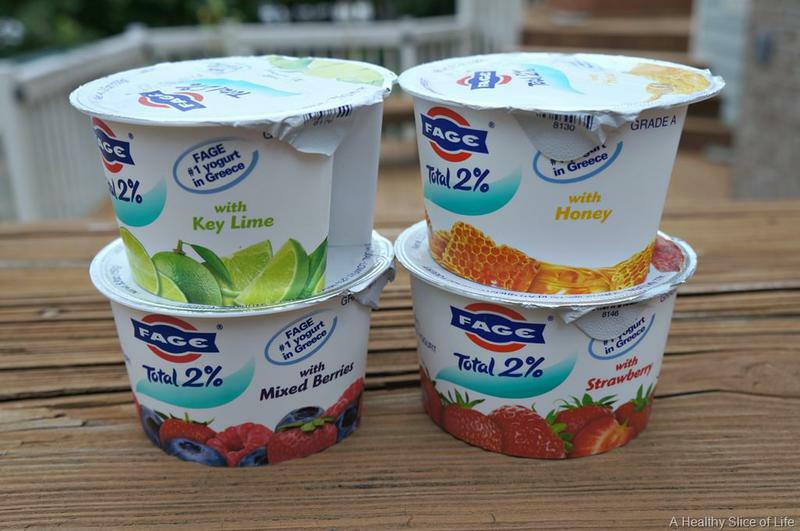 My favorite is the plain yogurt from Fage. Eeek I miss Greek yogurt! I gave dairy up a couple weeks ago to see if it would help my baby girl’s spitting up and mild eczema (I breast feed), and man, do I miss it! The jury is still out on if it’s working or not, but I think I’m going to have some dairy next week and see what happens. Maybe I’ll start with yogurt! Fage is my fav brand and I usually just buy the big container and either mix a generous spoonful of peanut butter in with it or top it with fruit. So sorry about Koda, but so glad everything is okay now! Pets and babies are so hard–they can’t tell you what’s wrong and it’s terrifying when they are sick. Best wishes! Siggi’s 2% coconut is my fav! Sending good thoughts to Koda! 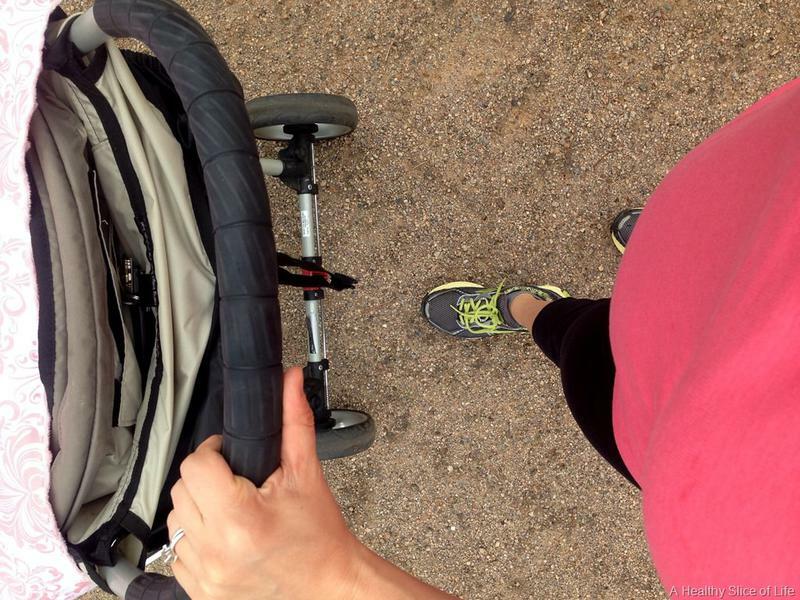 It took me 2 months (and a brand new pair of Brooks as motivation) to start exercising after the baby. She just didn’t sleep enough for me to have the energy :/ I’m only doing three nights of jogging right now but it’s all I have time for right now with two kids. I’m hoping to add in some strength training when sleep evens out even further. Beautiful family, you all are doing so great! Surely the seizure was frightening! If all tests were fine, you can relax. You may want to document the time of day, length of time, food eaten that day etc. Hopefully there won’t be another! If so…..keep a journal. Often household products can cause seizures…example pine sol . 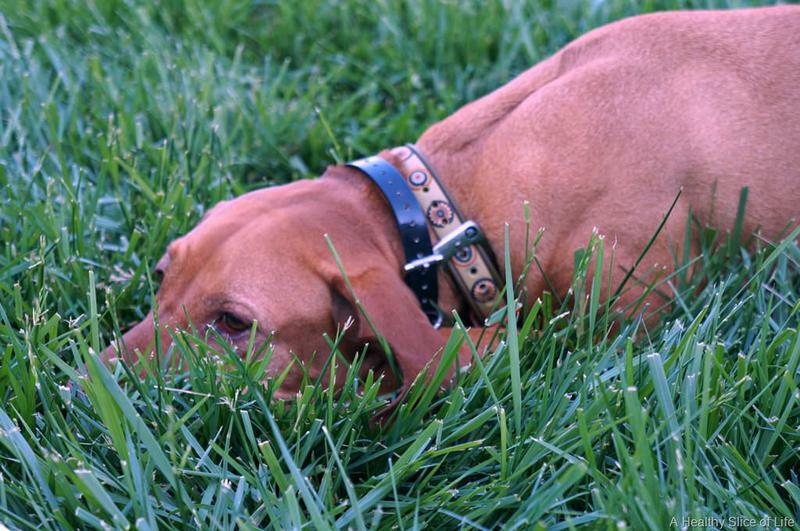 Some find adding a calming herb to the pets food helps. ( not for now ). Only if the vet feels your dog has epilepsy. Epilepsy is seizures without a specific diagnosed cause, such as brain tumor, diabetes. Valerian root, lobelia are two calming herbs. Have you heard of rescue remedy? It is used to help pets stay calm during fireworks. It’s available at health stores, with or without alcohol. This may be an isolated incident…once is enough! Sorry to hear about your dog, Koda. If I was stuck on an island and only given 3 foods, Greek yogurt would definitely be one of them! When I’m in the States, I love the 2% Fage, and when I’m in Canada, I usually go for Liberte 2% Plain. Also love using it in recipes!